Turkey's fight in the region is not against Kurds but against terror organizations, National Defense Minister Hulusi Akar said Jan. 7 while responding to U.S. National Security Adviser John Bolton's remarks on Syria. Bolton said on Jan. 6 the U.S. will not withdraw troops from northeastern Syria until Turkish government guarantees fight against ISIL and that it won’t attack “Kurdish fighters." "The fight of the Turkish Armed Forces (TSK) is not against our Kurdish brothers with whom we have shared the same geography and the same bread for centuries. Our struggle in the region are against the PKK/YPG and Daesh terrorists that threaten all ethnic and religious groups, particularly our Kurdish, Arab, and Turkmen brothers," Akar told the state-run Anadolu Agency. "This terrorist group both poses a threat to regional security and stability, and prevents Syrian refugees, particularly Kurds, from returning to their territories," he added. 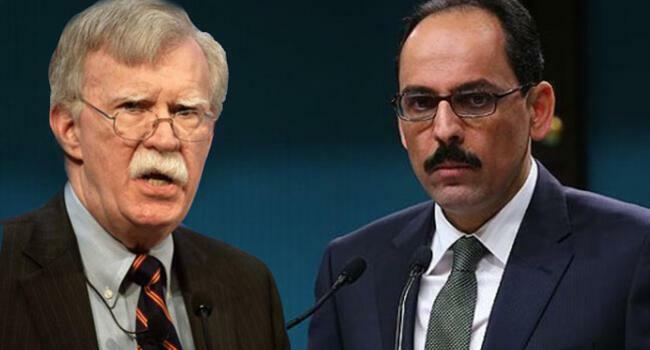 Also rebuffing Bolton's remarks, Turkish presidential spokesman İbrahim Kalın on Jan. 6 called claims that Turkey targets Kurds “irrational."